EDINBURG — The fifth person arrested in connection to an alleged voter fraud scheme faced a justice of the peace Saturday, and two days later, his bond was reduced from $100,000 cash surety to one that allows him to walk out of jail without posting payment. Investigators with the Texas Attorney General’s Office and the Texas Rangers arrested Francisco Tamez Jr., 33, on two counts of illegal voting Friday afternoon for allegedly casting a ballot in two recent elections: the Edinburg Municipal races in November and the 2018 March Primary. Tamez is ineligible to vote because he has a prior felony conviction for burglary in Oklahoma and has yet to fulfill the terms of his punishment, according to a copy of his probable cause affidavit. His probation concludes in 2020, making him ineligible to vote until then, as per Texas law. On Saturday, Tamez faced newly elected Hidalgo County Justice of the Peace Jason “JJ” Pena, who arraigned him on the two felony charges and issued a $50,000 cash surety bond for each count, totaling $100,000. On Monday, however, Tamez’ attorney Artemio de La Fuente, filed a motion to lower his client’s bond, and Pena approved it, according to court coordinator Melanie Guzman. It’s unclear what compelled Pena to significantly reduce the bond. Unlike a cash surety bond, which typically requires a defendant to post at least 10 percent of the total bond before a bail bond company covers the rest, a personal recognizant bond requires no payment. Defendants only need to sign a written promise to appear in court, and if they fail to do so, will forfeit the entire amount of the bond. 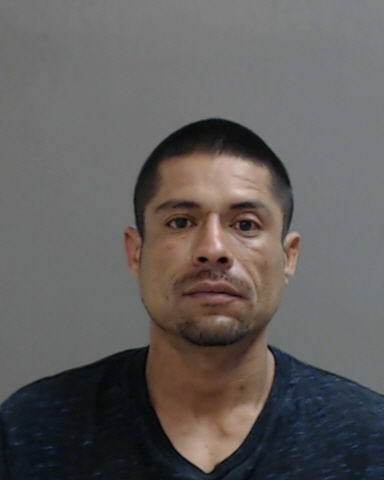 Tamez posted bond Monday afternoon and was released from custody that evening, according to Hidalgo County jail records. De La Fuente did not return a call requesting comment. Public information from the county’s elections department indicates Tamez registered to vote Oct. 10 through volunteer deputy Robin Zayas — sister to Edinburg’s new public information director Cary Zayas. Since arrests began two weeks ago, questions have been raised about the role a volunteer deputy plays in an election. Hidalgo County Voter Registrar Supervisor Belinda Sagredo addressed some of the misconceptions Monday in an interview with The Monitor. In order to become a volunteer deputy, a person must fill out an application with the Hidalgo County Elections office and take a one-hour course, as mandated by state law, to learn about the “dos and don’ts,” Sagredo said. Even though volunteers can be affiliated with a political party or candidate, they don’t represent them when they register voters. There is also a big misconception about the role of the elections department, Sagredo added. That includes directing complaints to the offices of the Texas Secretary of State and the Hidalgo County District Attorney. The address Tamez listed on his voter registration card belongs to an apartment complex owned by Edinburg Mayor Richard Molina and his brother, according to public information The Monitor obtained in January. Apartment 10, however, has previously been linked to another voter fraud case. Two weeks ago, investigators arrested Maria San Juanita Aleman, 35, for illegally voting in November. Aleman, who listed the same apartment number, allegedly voted in the Edinburg municipal election, but lives outside city limits. She was charged with a second-degree felony and remains out of jail on a $5,000 bond. It’s unclear if Aleman is related to Francisco Tamez Jr., but investigators noted in Aleman’s probable cause affidavit that she is a sister to Donna Tamez, who lives in the same complex and manages the real estate for Molina. Donna Tamez, however, lives in apartment 13. It’s unclear when he moved into the complex listed on his voter registration. His driver’s license, which was issued in 2009, lists his residence as 8319 Dorthy St., which according to investigators is the real address where Aleman resides. The Dorthy Street house falls outside Edinburg city limits.